Tuned up my spiffy NSX. 410 WHP @ 7psi. Time Slips and Dyno Runs For real references to power, and time during legal racing and dyno runs. BBSC with Methanol Injection and 7 psi made 410 WHP. Nice. Would make a fun little cruiser. Nice! Is everything otherwise as far as engine and internals all stock? Yeah, stock motor with exhaust and stock cats. I'm using the AEM FIC. T67, did I say 7? Looks like you need to add fuel between 5k-7.5k. This will bring the TQ up also. I bought my 3rd gen from a buddy, who has a '94 NSX. Great car, very smooth. Good stuff; always love an NSX! Nice! Yea I'm sorry to even hear YZF's name even being mentioned. Been quite nice around these parts without him. 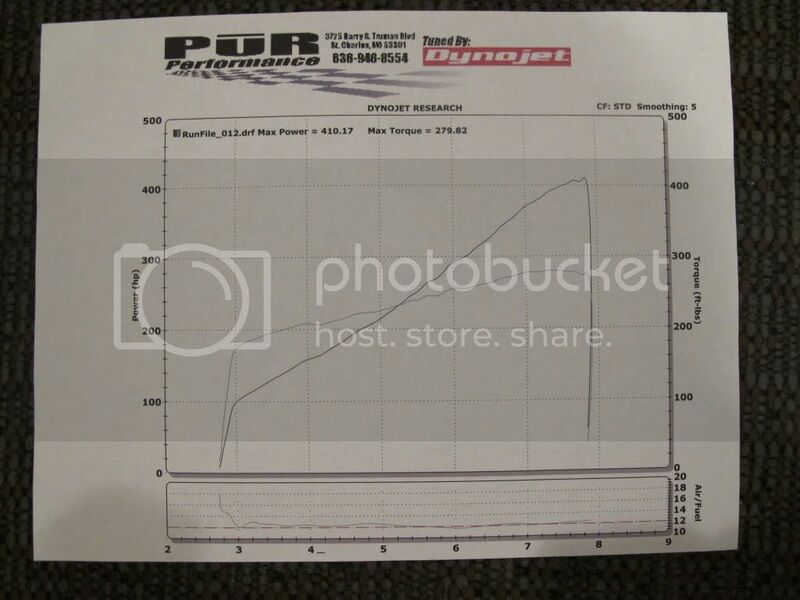 vtec and a supercharger will do that... Nice linear torque and horsepower curve, all with peak right at redline. I can dig it. Quick Reply: Tuned up my spiffy NSX. 410 WHP @ 7psi.